Christmas, Chanukah, Kwanzaa, Bodhi Day, Winter Solstice, Yule, Pancha Ganapti, etc etc. December brings with it a host of traditional holidays across the religious spectrum. Winter, for much of recorded human history, was a time for families to come together to enjoy the warmth of the hearth as they anxiously awaited the return of spring. It seems that in recent history, however, a new holiday has arisen that has quickly supplanted all the rest, one that we’ll call (for lack of a better term): “Stuffmas”. “Stuffmas” is the frenzied month-long celebration of jingle-y music, sweet pastries, and above all, stuff… lots and lots of stuff. Throughout this season people around the globe are bombarded with advertisements to buy all of the latest, greatest, and newest pieces of plastic. Our quest to accumulate “stuff” has become so ferocious in recent years that shopping can be a deadly affair – literally. 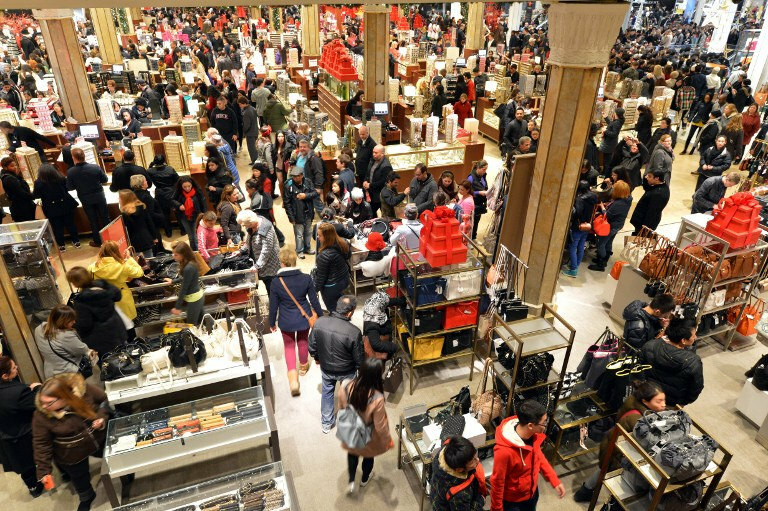 Each “Stuffmas” season kicks off with the aptly named “Black Friday”, an event where otherwise innocent people risk getting trampled to death as they rush to grab bargain-basement deals from their local superstore. Since we started keeping count, 10 people have died and more than 100 have been injured in the mad dash to get the latest gadgets at discounted prices. Indeed, devotees of “Stuffmas” are becoming increasingly fervent. One could easily argue that the secular celebration of giving and receiving is more than just a holiday, that instead it is a full-hearted embrace of Earth’s true largest religion: Materialism. Has the true meaning of the holidays been lost to the worship of stuff? Previous generations of children were taught to be on their best behavior because God was watching. Today, the lesson remains the same – children are still encouraged to behave. However, the stakes are much different: God isn’t watching anymore, Santa is; sins are punished not with eternal torment, but with the withholding of presents. When our kids are taught that their actions are monitored by a toy-bearing fairy-man, and that good behavior is always rewarded with shiny new things, how could we expect them not to start worshiping the idea of stuff? We created a new religion and – with some clever marketing – we indoctrinated ourselves into it. The entire course of our lives has been painstakingly engineered by economists to ensure maximum output, following this general course: We’re Born > We Work > We Buy > We Die. Too often a person’s value is determined not by the content of their character, but by the monetary value of their assets. Winter has customarily been a time for reflection. Perhaps we should take some time to reflect this year: as we look around at the world we built, are we happy with what we see? Regardless of what your traditional practices are, there is no doubt that “Stuffmas” is touching your life in some way. While it certainly does bring some feelings of joy (who doesn’t like receiving gifts? ), there are some evils associated with it as well. Most of us have friends or loved ones that struggle with anxiety over finances, and these issues are always made worse during the holiday season when there is constant pressure to spend money on new things. You’d be hard-pressed to find anyone who didn’t think that perhaps it’s time that we wind-down “Stuffmas” at least by some degree. The question is: how? Actually, the question is, can we? Have we become so invested in our materialism that there is no true exit? Just this morning there was another news article about the importance of spending this holiday season. At this point, our entire economy depends on people continuing to buy stuff. The easiest way to put a stop to something is simply say ‘no’. We don’t have to give in to other people’s opinions, advertising, and celebrations. Christians don’t celebrate the Muslim holidays, so why should we be forced to celebrate Stuffness? (love the name! 🙂 ) Oh no, we ‘choose’ to fall under the spell of materialism (old saying ‘keeping up with the Jones’ next door), and if we don’t .. which, gazing around me, even I have fallen into at times .. computer, printer, lots of books on a multitude of subjects .. we are seen as unChristian, unfriendly, lacking in some way. I don’t feel the lack. Its summer down here in Oz, and we don’t celebrate Thanksgiving .. this is the first year I have seen ‘Black Friday’ advertised on our tvs .. so sadly that has moved into the Australian culture. I doubt it will vanish again, given that people either love sales, or can only afford to buy at sales, which is a nastier reality, as the rich get richer and the poor get poorer. And our government has just announced a billion dollar crack-down on people who have been paid far too much ‘support’ of various sorts over the years, either by defrauding the government, or because the government itself stuffed up. Great time to make them repay – right before Christmas. God bless us all. We can certainly use a blessing or two. We seldom get it from those around us, for the most part. My father was a methodist minister. At Christmas he did a series of sermons entitled, “Let’s get Christ out of Christmas.” Exactly what this article is about. Forgetting about the birth of our Lord for an on sale $15.00 sweater. Christmas carols with religious theme were switched out for Frosty the Snowman and Rudolph the red nose reindeer. Schools changed Christmas vacation to winter break. Don’t say, “Merry Christmas” it’s happy holidays. I don’t know what the parishioners at our church thought when daddy did that series of sermons. But a very little boy who still sits on the right side in the third pew from the front. Never forgot his Dad’s words. Daddy spoke that series in 1969. I don’t understand why people insist that saying Happy Holidays is wrong. Christians seems to have forgotten this extremely important phrase. It isn’t supposed to be “happy Holidays” It is HAPPY HOLY DAYS!!! No respect for their professed religion I tell ya! Sheesh!! Agreed. Happy Holidays includes everyone. I am not a Christian, still I enjoy the winter holidays. I see nothing wrong with Happy Holidays, as it includes everyone. I liked it better when we just said Merry Christmas and even our Jewish friends said it back to us. What a great topic and close to my heart! When I was young, in my early twenties, I ran away from the US in seek of truth. I ended up in Valle de Angeles, Honduras. Just outside of Tegucigalpa, high in the piney mountains of Honduras was a mission run by a 7th Day Adventist church. I volunteered there as a trim carpenter, while my wife volunteered as a registered nurse. It is a hand-to-mouth coffee growing region, supported by subsistance laborers. This is where I learned the meaning of Christmas. On Christmas Eve, we visited the home of a single mother and were feted by her 5 year old blind son singing Christmas songs to us. He was a marvelous singer given any age and his mother was understandably very proud of him and his gift of song, which she rightfully claimed to be a gift from God. As we sat on the dirt floor of her one room house, he sang as though it were a performance at a grand European concert hall. It was stunning and although it was in 1977, I have never forgotten his performance, their love for each other, their graciousness, and the childs voice. There were no piles of presents in their home, no laser lights bathing their home in light, no Christmas wreaths tied to the front of a Ford Expedition, no turkey in the oven. Just a child singing Christmas songs to 3 admiring adults on Christmas Eve. Life expectancy in this region of Honduras is below global average. Malaria, unsanitary drinking water and the crushing weight of abject poverty take a heavy toll. However, for this moment in time, all was suspended and we became collective celebrants in the wonder of Christmas. The hope of resurrection, reflecting upon God’s glorious grace for mankind, and sharing this gift given to us by a child. For a long time afterwards, I made a point of seeking out the poorest church I could find to celebrate Christmas Eve. Looking into the faces of the worshippers and seeing the hope of God’s grace upon the faces of the celebrants as they shared with each other the joy in the birth of the Son of God. As the years passed, my ritual of connecting with others on Chrisrmas Eve has lost its place in my life. Caught up in the “business of Christmas”. It was there I learned the meaning of Christmas. What a wonderful story! If you’re willing to expand on this experience a bit, we’d love to publish an account of your story on the official ULC blog page. If you’re interested, please email sermons@themonastery.org. That was truly beautiful. I am glad you were able to have that kind of experiences. Many of us do not have such a rich memory of sweetness and joy around christmas. But reading your story brought tears to my eyes because I could feel the sweetness of that moment. Well said and peace to you. Lee, please be reminded that not everyone is a Christian who celebrates Christmas. Therefore, it is kind and sensitive to respect others, including their right not to be forced into religious memes–and certainly not the government, which is a secular entity. It is disheartening to see that old trope of “keeping Christ in Christmas,” as if we are a monolithic society/planet. The militaristic pressure in foisting Christofascism upon others is UnChristian, to be sure. While I came up in a Christian tradition (Eastern Orthodox,) we were always taught to be respectful of the beliefs of others. I have family members who are athiests, agnostics, Jewish, and Buddhist, to name a few. In Ann Arbor, Michigan there is a religious building which is BOTH a Christian church AND a Jewish synagogue. THAT requires sensitivity to others!!! I am completely against the materialism and greediness of the Christmas/Winter Shopaholic frenzy, but DISAGREE that this means we need to replace materialism with pushing Christ on everyone. I think, for myself, the best Holiday Season cards are those which call for PEACE ON EARTH. Biblical, yes. But not necessarily so. The meaning is transcendant. As an interfaith minister, it is my responsibility to demonstrate magnanimity and interfaith acceptance and love. Beautifully said! Which is why I believe it is correct and acceptable to say “Happy Holidays” for the correct translation of this sentiment is in fact “Happy HOLYdays”!! Which in turn encompasses many, many of the days that each religion deems as HOLY. Thank you kindly for your wise words!! Brovo Rev Krystina Szabo! I cant agree more. Thank you for the balance and inclusion in your post. Peace Be With You and Your Loved Ones. First of December was not the month Jesus was born at all , 2nd I no longer shop because the entire ideal of Christmas means high stress shopping for gifts is just wrong even the Christmas tree is a pagan Druid religious symbol . We’re I was a child in the early 60 1 toy and several clothing articles was it that was all we received and happily . Today Christmas is nothing but a secular holiday all about profit driven system . I don’t like the holiday anylonger it has nothing to do with Jesus ! I am with you on that. 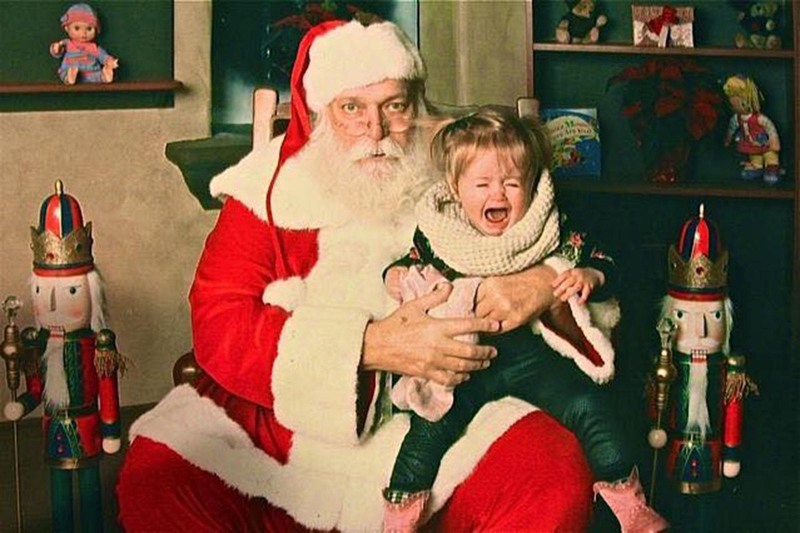 I don’t like Christmas for the materialism, and the fact that its Yule, which, while a good celebration if you are into the seasons, has nothing to do with Jesus, or even St Nicholas .. http://www.whychristmas.com/customs/fatherchristmas.shtml. Greetings! I learned that while it is not the day of his birth but the day of his conception, if you follow the course of Abaya. I see no problem with celebrating the day He choose to dwell with us on here on earth. Some see the tree as a symbol of His love strenght and power. The great fir tree. I can ubderstand your point of view and appreciate it. I give all year to the people I love when the mood strikes me. I am not christian and refuse to celebrate a holiday that is supposed to religious. I am retired now but used to be a manager in a Mental Health Non Pro. We worked with families that had children with mental and emotional challenges. This time of year our whole company would go into over drive. Fund raising and all that BS so that the “kids” would get gifts. Well alone with all that they would force holiday parties on us. Giving to people I didnt give a crap about just to keep from having the boss breathing down my neck. Forced to decorate and all of that. Now I am my 87 year old fathers full time caregiver. He has Parkinson’s and Dementia. Bless his heart he loves xmas. He has fond memories of when he was a child and wanted me to put of lights and decorate. What could I say but sure dad! I hate this time of year! But dad is happy and that makes my heart glad. As a Witch I traditionally celebrate Yule. When we exchange gifts it is usually at the feast we hold and it is food and drink. This is the turn of the year, to rejoice at the birth of God to Goddess. It is a time of coming together with community. I travel to my sister’s house when they celebrate Christmas because that is a family day to me, since they are Christians, and it is a day for the family and children, good food and laughter. We never stress over gifts, I give my family gift certificates for things they may need throughout the year, including certificates to grocery stores. I only go out of my way to buy gifts for Birthdays. I would much rather make something to show my love than to push and shove amoung harried, rude materialists. WHOOOs to BLAME for OUR DEMISE, H U H ! the POLITICIANS, NO, the POLICE ,NO, OURSELVES, Y E S, Y E S, Y E S,and that will INCLUDE BEEZELBUB TRUMP of WHOM OUR GREAT IGNORANT CITIZENs HELPED ELECT ILLIGALLY i POINTOUT !!! Not everything, my friend, is political. As St. Nick was Catholic. Santa is, supposedly all religions and no religion. But I really don’t see this as political. Hey John, can you please say BEELZEBUB TRUMP a few more times? I don’t think you’ve said it enough. If you copy it onto your clipboard you can just click and it will appear as many times as you click, sort of like this: JOHN MAHER HAS AN EMOTIONAL PROBLEM! JOHN MAHER HAS AN EMOTIONAL PROBLEM! JOHN MAHER HAS AN EMOTIONAL PROBLEM! JOHN MAHER HAS AN EMOTIONAL PROBLEM! JOHN MAHER HAS AN EMOTIONAL PROBLEM! JOHN MAHER HAS AN EMOTIONAL PROBLEM! JOHN MAHER HAS AN EMOTIONAL PROBLEM! Yes, it’s just that simple! Enjoy! Exactly how was it illegal? HRH HRC and DWS greased the Donald’s wheels by stealing the nomination from Bernie, whom I was rooting for. This disillusioned enough potential supporters that HRC would up loosing. People are tired of “politics as usual”. Let’s hope those in charge of the two major parties get the message, but I have my doubts. Thank you for your wise words as well Cary. Hubby is Native and I am Pagan (essentially the same belief system). We no longer call it Christmas either. It’s called Friends and Family Feast Day here. I don’t normally say Merry Christmas either although the term Merry is also Pagan….I say “Happy Holidays….for that correct term is actually Happy HOLYdays. To me, that term encompasses many days for many religions. For I too have deep respects for all others and the religions they may partake in. Sounds awesome! I wish we had the kind of family that would just accept others without the shaming and mistreatment. In my family mostly christians and one a pastor we get pushed and pulled. Because I refuse to join and conform to the christan ways and phrases I get treated like I am wrong. Its all good thought I have as much respect for them as they have for me. The most ironic development over the obvious hijacking of the solstice holidays is the way Fundamentalists have tried to claim Christmas as having always been theirs, and it’s somehow about precious baby “Jesus™”. From an historical perspective, Christmas was a high feast day in the liturgical calendar, observed as an holy day of obligation. The puritans and other radicalized protestants who left Europe adamantly avoided anything and everything ‘liturgical’. Materialism and greed is evident as mega-ministries have become booming industry and nothing more than profitable tax shelters. Possessions are a sign of God’s abundant blessings, especially for churches. Perception is, the more the more anointed! As long as property is being used, it is tax exempt. Christianity™ has become nothing to do with altruistic/charitable actions, tending to the needs of the sick, poor, or any of society’s widows and orphans. ‘Those people’ are now considered “takers” in the most fashionable Christian™ social circles, and to help any of them would be considered codependent and enabling ‘those people’. From one perspective, one might argue this is the hijacking of Christianity by Capitalism, and an attempt by their religious authorities to force their religious materialism and excessive lifestyle beliefs on the entire Society. The Church™ hijacked the solstice celebrations, now the Christians™have hijacked the Church™. Instead of putting ‘Christ™’ back in ‘Christmas™’, while forcing their superstitions and beliefs on everyone else, perhaps some of these radicalized fundamentalist cults should focus on putting their ‘Christ™’ back in ‘Christian™’ first. I get more blank stares than claims of ownership, hsw. LOL They don’t know about the ‘pagan’ history, only what they were taught at Sunday school. The real Christ was never IN Christmas. The Anti-Christ is. Christmas is an adaptation of the Saturnalia, a hand-me-down from Babylon, and it does not celebrate the birth of the Jewish Meshiach but of Nimrod, and the winter solstice, even though it was moved a few days. There is no commandment in scripture to observe the birth of the Savior nor to decorate trees or houses with lights or give gifts or send cards or anything associated with that celebration. Exactly! You understand human compassion, and sometimes anger is quite healthy emotion. It’s our actions we need to be aware of, especially when angry. Anger is a built in warning – it tells us something is wrong, and we might want to assess present reality, what’s going on around us, or perhaps a signal we may even need to consider doing something different. Anger is a natural emotional, human response, and speaking Truth is never wrong. A long time ago, I made a conscious decision that if my religion was somehow trying to convince me to hate anyone, it was a false god/lie, and time for a new religion! Today, I understand ‘The Kingdom’ is here and now! In seminary, I learned the harrowing prophetical events of the Apocalypse already took place in the first century – the seige and destruction of Jerusalem. The Revelations is an historical record and forth-telling of actual events under Titus, not prophetical (foretelling) of events yet to come. By Faith, I choose a to live in the Kingdom (here and now) and help bring others into awareness of this Kingdom! It makes for a much more fulfilling and attainable reality! I encourage you to be open to learning as much as possible, love Wisdom, especially from Life’s (painful/embarrassing) experiential lessons … if you ever stop, you’ll wither and die! Serve God by serving those who are the very Dwelling Places of the Most High, and seek to serve those where the Light Within seems to be most destitute and struggling to shine. If you want to know your Lord, comfort those who grieve, feed the hungry, cloth the naked, visit the sick and imprisoned, tend the needs of widows and orphans, and most importantly – pay most attention to those little red-lettered words. Together, we can change this world! In the quiet and often the most heart-wrenching of embraces, you will see His gratitude, and His eyes will light up with hope. You will know Him – and He will know you. Thanks for the sentiment and genuine kindness. The world would be a better and more peaceful place if more Christians™ were aware of this more humble and simpler perspective of genuine human dignity and equality. You’re right on the mark … it’s not what they say, it’s their actions (what they do). From one humble perspective, for some strange reason to which most are totally oblivious, their puny segregated faith community bubble is the only reality they know. Sadly, “… they have deceived themselves and the Truth is not in them.” One might argue, the narrow (small/humble/intimate) gates have acquiesced to the impressive and more powerful gatekeepers (mega-ministries/name-it/claim-it/prosperity). Thus, the “Gospel of Christian™Capitalism”, with quite the extensive network of Christian™ Corporations. What I see is, the “Thieves” have entered the fold by another way (deceit/lies) and are leading the flocks out through the broad (huge/big/mega/spectacular) gates to death and destruction. However, there are no voices crying from the wilderness of , today. Most Christians™ I know (predominantly of the evangelical/fundamentalist persuasions) live in Utopian fantasies, content with themselves and their comfortable lifestyles, while incessantly judging, demonizing, and demoralizing all others/people around them. Their tyranny of oppression is driven by fear – they are deluded by doctrines of elitism and grandiosity. Most Christians™ I know believe it’s ALL (and ONLY) about them – they are, and always will be ‘God’s Elect’ (Calvinists). There is no compassion for the suffering around them. Their comfortable life is ‘God’s Blessings’ for faithful living. Their faith and church experience is all to make them ‘feel’ better about themselves. Their preferred religious lifestyle of choice and ‘pious-appearing’ actions (‘holiness codes’) are self-serving, at best. Any ‘good’ they do is either out of fear of eternal damnation, or for some fantasy of ‘treasures laid up in Glory’. So, my question is, if they are doing anything good for personal gain and recognition, is it really ‘goodness’ or even ‘godly’? worth giving. Merry Christmas Yeshua!!!!!! Jim, Yeshua observed Succoth and the Days of Unleavened Bread and Feast of Weeks. The prophets tell us that these days will always be observed, as will Shabat, but they tell us nothing of this winter solstice celebration. I would think a Jew would shun the paganism involved. The festival of Christmas originated when the Christian church adopted and adapted the Roman Saturnalia celebrations. They did this as Christianity began take over the Roman world, because it was a festival that people enjoyed and were loath to give up. The Saturnalia involved gift-giving, feasting, drunkenness, license for slaves and underlings and conspicuous consumption. So, I think ‘Stuffmas’ has a longer pedigree than Christmas and it has good claim to incorporate the ‘true meaning’ of the festivities. Of course the nativity is a beautiful and powerful story (that also has pre-Christian origins), but, as a couple of other commentators suggest, Christians do not have a monopoly on Christmas or the right to tell others how to enjoy it. P.S. To those who base their claims of ownership on the fact that the word Christmas incorporates ‘Christ’, I would point out that ‘Eostr’ is a pagan goddess and I haven’t heard any pagans bitching about the way Christians have appropriated the word! Not arguing at all, just commentary: In my faith, we understand the origins of Christmas, Easter, Halloween, Valentine’s Day, St. Patrick’s Day and all that, and we shun them all. The only ones we observe were delivered through Moses and promised by the prophets to be observed in the Kingdom of God. I just want to thank you for pointing out the paganism. Merry Christmas! Why do we rush to incorporate other religious celebrations in the second most important Holy Day in Christianity? I don’t support the buying frenzy at all. It should be away to reflect on the idea of God giving his only son to eventually die for our redemption. I’d like to know more about the celebrations of other cultures and religions but their meanings have been obliterated in the efficiency of inclusion. Merry Christmas! And joy and happiness to our fellow man around the world. Lakshmi, Goddess of Wealth and Materialism. You may be overlooking the very real fact that Mahalakshmi is the Mother and Goddess of this Universe (and that other universes may be guided by different forces.) Mahalakhsmi/Lakshmi is the Goddess of Materialism, Wealth, Beauty, Love, Luck, Fertility, and a lot of other things that this our Universe (All is Brahman) really enjoy. There is such a thing as domain in religion and this Universe is a Hindu Universe (All is Brahman) and Mahalakshmi is the Mother and Goddess of this Universe. I think if these people were really that Christian they would “seek first the Kingdom of God and his righteousness” and go INSIDE OF THEMSELVES because according to Jesus “the Kingdom is within you.” Then they would not be in this materialist universe they would then be closer to where they belong by their Religions correct Domain. I dont pray to anyone for help. I mean if I am in a mess i need to take responsibility and clean it up. If there is a hardship or illness I look to the situation and ask for the healing energy to get through it. Why are we always looking outside ourselves to get healing or help? If you believe that we are created in the image of a God/Goddess then why not look with in. The funny thing is I grew up in a household where organized religion (Christianity) was suspect-both of my parents had bad experiences in churches at younger ages and we just grew up in a house where suspicion was the best you could label Christianity. However, we still celebrated Christmas. Go figure. As for me, my parents did encourage me to find my own truth and religion, and I have delved into every religion (including Christianity) and philosophical thought I could find. I still celebrate Christmas. I do think the holiday has too much focus on the gifts, but then look who is doing most of that pushing: corporations who want their bottom line to look nice at the end of the year (and small businesses who are trying to economically survive). I like the idea behind remembering people who mean something to you by getting them a gift. The sentiment is–you mean something to me and I appreciate you being in my life so I got you something. I like that meaning of the season. And for me, Santa Claus has always embodied that–you get something for others, help those who don’t have enough, and spend time doing for others. That in and of itself is enough to keep me enjoying the season. I try to block out most of the commercialism and the push to buy, buy, buy. As others have said, you can’t listen to the media and the ads. Celebrate the season (or not) however you feel necessary and don’t worry about others. That’s how to stop the bombardment of over commercializing–I still look to the Peanuts this time of year and follow in the ways of Charlie Brown. I’m going to get a nice little tree even if it’s not big and pink and aluminum, because that’s the way I want to celebrate. Seems that far too many of us have lost the ability to relax and enjoy ourselves and others. Whatever the Christmas/Holiday tradition we celebrate, the general theme of something new coming is fairly universal. And yes, even the birth of Christ entailed something new coming. The passing of the old, the welcoming of the new was supposed to be a time of reflection and celebration with friends and family. Good food, good drink, good friends, and maybe a gift or two exchanged. Now we’re so busy trying to outdo each other that we’re too exhausted and stressed to enjoy anything. Now matter what tradition we celebrate we simply need to stop trying to impress each other, stop trying to blame each other for wrong beliefs, or whatever, and simply determine we’re going to enjoy life and each other. If we lose the ability to do that then we’ve lost everything, and it doesn’t matter what we believe. SINCE DECEMBER 25TH IS THE DAY WE CELEBRATE THE BIRTH OF OUR LIRD AND SAVIOR JESUS CHRIST, AND NO ONE KNOWS THE EXACT DATE, I CELEBRATE HIS BIRTH ON DECEMBER 25. IF I GIVE A GIFT TO SOMEONE, ITS THE ACT OF GIVING THAT MEANS SOMETHING TO ME LIKE I GIVE TO PEOPLE LESS FORTUNATE, ALL YEAR ROUND. I USE CHRISTMAS TO ALSO GIVE A GIFT TO SHOW MY APPRECIATION OF SOMEONE. I DO NOT WORSHIP STRANGE GODS. I ONLY WORSHIP THE ONE TRUE GOD OF THE HOLY BIBLE AND I PREACH THE GOSPEL. I DO NOT FOLLOW MAN I FOLLOW CHRIST AND NO ONE HAS THE RIGHT TO JUDGE MY HEART. ONLY CHRIST HIMSELF. You make a good point if a person is a christian then they believe hook line and sinker what you have said. I for one do not!. So why would I want to take part in a holiday that means nothing to me? Well I do to some extent. I by my grand children gifts. I decorate for my father who i care for. I even say happy holidays to people who wish me Marry xmas. But in my heart I am doing this for them not me. Its only because this whole thing has gotten to be out of hand. The peer pressure to participate in meaningless holidays is something I have just learned to go alone with. Okay, I will agree with nearly everyone on the Blog that the Black Friday, Black Saturday, Cyber Monday, and Endless Holiday Ads seem to get worse every year and they are really out of hand. I recently read that people is the US will spend an ‘average’ of $200 per person on their holiday shopping list. That’s Crazy! As you and I go through this life, there are a lot of battles that we will fight, I’m in agreement that we have just learned to go along with it – there is really no harm in making a little ‘extra’ effort to be there for someone else during this time of the year…as long as you know, in your heart, what is really true. Oh and by the way when you type in all caps its like YELLING at us. I grew up in a small town in Western Pennsylvania where my Father and I would go to a nursery on the Saturday after Thanksgiving to pick out the tree for our house and 2 potted trees for our Methodist Church. At church we would have a Jesus Birthday party, we walked the town singing carols and went to area nursing homes to sing for the shut ins. Material things were never high on our list. We were taught that it was always better to give than receive. Society has replaced Christ with the letter X. People need to place Christ back in their daily lives. By doing that the holidays would take a new meaning, or should I say that the holidays would take on more of its original meaning. Merry Christmas to all and may God’s blessings surround all. As an atheist family, we celebrate the Winter Solstice, the original event from which all the other celebratory holidays took their cue. Although I personally find christianity distasteful, I would never deny others their belief systems or versions of this holiday…something I have found, however, that they in turn are most unwilling to grant me and mine. As one who attempts to walk the talk as a follower of Christ, I’ll have to say that I’ve learned over the years that given the opportunity, Jesus would happily attend your Winter Solstice celebrations simply for the joy of being with others, friendship, pure joy and, of course love for others. It is my hope that someday more who profess to be followers of Christ will learn that Jesus did not come to condemn those who do not believe in Him. In fact, what little condemnation He did level was directed to those who claimed to be God’s people. I love when I have to opportunity to share my faith in Christ, but whether anyone chooses to believe as I do is between them and God. I am not the Judge, for which I am very, very thankful. I once was troubled by the rampant commercialism or materialism around the holidays.a few years back I dated a woman whos children loved black Friday and buying and getting a ton of gifts I witnessed the great joy they received from doing all these things. I realized who was I to deny them their joy. All religions have an underlying theme of love and respect and celebrate in some form ways to show those attributes and bring joy to those they Love. I choose to Love and respect everyone NO MATTER WHAT I do not have to participate or celebrate as they do in order to treat them as such. I trust my heart and follow its guidance. because I am at peace with my own beliefs and have no desire to force that on anyone else I can now be ok with whatever is happening. Btw I capitalized the no matter what not to yell at anyone only to emphasize the importance of learning that aspect of Love and Respect and how challenging it was for me to get there. Blessings and peace to all in this season however you may or may not celebrate. I grew up Orthodox Christian, and though I am an ecumenical and interfaith minister, I feel it is necessary to speak up on behalf of the faith in which I was raised. Please review my previous post to know that I am NOT usually a sectarian or even a Christian snob. I love Sikh, Pagan and Buddhist celebrations as well, for example. We are all spiritual beings. But I do want to counter this “Catholic/My Denomination is the ONLY True One.” It creates divisiveness and hate. So here is a little lesson. WE Orthodox consider ourselves to be THE original church–I just want to mention to you that there were many schisms in The Christian Church, not just the Protestant Revolution. What about when the Gnostics were removed in the 260s A.D.? Also the Copts, etc. The major schism in The Christian Church happened in 1054. The original church is the ORTHODOX church. This is because Charlemagne was declared Holy Roman Emporer, the filioque clause was improperly added by the western/Catholic branch in order to push the head of the church to Rome, and other issues (some of which solidified later.) Our priests can marry: theirs are all celibate. We use the vernacular: they said Latin was the only language to be used in church. We use leavened bread to show that Christ ROSE from the dead, they used unleavened bread. We have icons, they have statues. We have Holy Communion, they have Mass. We accept Christ’s humanity, but also ponder the mysteries of his divinity more completely. We follow the Jewish calendar, basically, for Easter, because that is the ONE Holy Day which we can exactly know, whereas usually they celebrate Easter before Passover, which is craaaazy and wrong (read the Gospels.) The Orthodox and Catholics accept the validity of one anothers’ orders and sacraments, BTW. WE also have transubstantiation, for example: this concept that the bread and wine become the body and blood is NOT just Catholic. Interestingly, the filioque clause was recently retracted by the Catholic church and related denominations, making them more in line with the Orthodox conceptually–and showing that yes, we were right. I work at a big-box hardware store. Yes, and we are closed only for the Thanksgiving and Christmas holidays, but we open at 6 a.m. the day after, and you would think that we were giving the stock away for free. The amount of ‘stuff’ people buy is astounding, more so is the number of customers that open a package, rummage through it , and then take a ‘sealed’ one because the one they opened is no longer a ‘virgin’ package !! When they decide that they changed their mind, they just dump the items anywhere they want so the ‘servant – low life’ employees can clean up their mess after them. Not only does this aggravate the employees, it also prevents us from putting more items back on the shelves for purchase. The lines at the check-out registers only prove the commercialism brought upon the holidays by merchants looking to improve their ‘bottom line’for their stockholders, and the rudeness of the customers disgusts the store employees. What happened to values like – “do unto others, as you would have done unto you” and ‘respect for other people’. Not ‘coveting other peoples possessions’ ? To paraphrase ‘respect thy mother and father’ – why and how can a customer come in and give the sales staff a hard time [some of us are MUCH older than the customers we serve] ? I agree with numerous statements that the true meaning of the holidays is almost lost today, and it’s not just the December holidays. It’s all of them. Valentine’s day= gotta buy candies and cards. Lincoln’s and Washington’s birthdays have been combined by the government into “President’s Day’ because it brings in more sales and some stores don’t have to close up for an extra day due to a federal holiday – and not a rememberence of the creators of this nation. July 4th is supposed to be a celebration of the independence of the nation from the rule of England – – no longer. Memorial Day is supposed to be an honorarium to the soldiers that protect our nation – not another reason for a sale, Labor day -is not really a day to honor those who helped create what we have – it’s another ‘sale’ day now. As you can see, we have a recurring theme here – – greed. One of the seven deadly sins. This was made obvious by the original message to this discussion [sadly] – long live materialism, and the real values of the holidays has been given a back seat to having ‘more stuff’. Pity things have gotten the way they are. May the true meaning of the holidays be with you , whatever you celebrate, now and forever. Reminder – if you give kindness you get kindness, maybe not from everyone, but YOU will be the better for it. for those of the Jewish faith, Chanukkah [ the re-dedication of the destruction-reconstruction of a synagogue celebration , and the miracle of the sanctified oil that was only supposed to last 1 day & lasted for 8 ]. In the case of the Christian beliefs – how the rising of the Christ from the burial chamber or the birth of the Christ – have become celebrated in the same manner. When I was growing up, our parents were not focused on the material possessions as part of the celebrations, we went to our respective houses of worship and learned the meaning of the holiday for what it really is. It was and is A Holy Day. A day spent in the wonder of what had/has happened to ‘our kind’ in the past and how it , to this day , affects our lives. It was not a reason to buy ‘stuff’ for each other. The holiday was meant to help us understand why it was/is there, and to give us a broader understanding of ourselves and our fellow humans. The current materialization of the holidays makes it the least ‘Wonderful Time of the Year’ for me, as I fail to comprehend what we all have become. I confess, I am part of the trend, but I try to do it in a most minimal way, and still like to tell my offspring the ‘reason for the season’ . I also believe , at this stage of my life, I would rather spend my days ignoring the merchandising and understand what our past has taught us, and how our past can aid us in the future. Yes , I think history repeats itself, and we can change the course of what we will become , if we learn from our past errors and try to change the course of our future towards a better end. Happy Holy Days to All , please , celebrate as your heart desires . The frustration and emptiness so many people feel at this time of year is not an objection to the abundance per se, nor should it be. It is a healthy hunger for nonattachment. This season, don’t rail against the crowds of shoppers on Fifth Avenue or become some sort of anti-gift misanthrope. Celebrate the bounty that has pulled millions out of poverty worldwide. But then, ponder the three practices above. Move beyond attachment by collecting experiences, avoid excessive usefulness, and get to the center of your wheel. It might just turn out to be a happy holiday after all. Fair enough that they were promoting their products using Santa as their pitchman, but what about placing Santa in the manger with the baby Jesus? I’m not sure how “Catholic” this supplier is, but the message is disturbingly clear. At least Jesus isn’t suckling from a bottle of Coke. How many children have this connection implanted in their minds? Search images of “santa and jesus” for more selections. Our Christmas gift tradition remains donations to our favourite charities. I opened Kiva accounts for both grand daughters. Young as they are, they both enjoy reading stories about less advantaged people around the world and helping them with the dignity of a loan rather than straight charity. Kwanzaa is not a religious holiday it is a cultural observation. We are encouraged to make gifts for family and friends. The gifts are not the focus of the holiday, learning about ourselves and our ancestors and spending time together as a family is. We find this preferable to Stuffmas, because it has real meaning for us. Toni, I find the Kwanzaa ceremonies which I have attended (only on one year I went all 7 days) very beautiful and meaningful. The SEVEN PRINCIPLES are excellent. Unity, Self-Determination, Collective Work and Responsibility, Cooperative Economics, Purpose, Creativity and Faith. Thank you for bringing up Kwanzaa, which is just as meaningful, like other human-created traditions, though not as ancient–or is it? Kinda like modern Wicca is a reimagining. So Kwanzaa co-opts important cultural principles and ancient symbols into a beautiful holiday tradition. Jesus wasn’t trying to create any new Religions, so he wouldn’t recognize the one created in his name: “Christmas”. But most Pagans would at least recognize some of its “Trappings” (Trees, Wreaths, Holly, Gifts, etc), but even they wouldn’t understand what it’s now supposed to all be about, and from any “Holy” or even thoughtful perspective; because today it’s just about GREED. And what a horrid message to give to children, and adults alike (and whether religious or secular), that “God” or “Santa” is watching you and will reward your goodness, but not with Love; WITH STUFF! …And poor kids, especially, by way of these greed soaked messages, are automatically told that they are not “Good” at all. The Roman Emperor Constantine “gave” us Christmas (and after his fained “conversation”, he also mandated it, and by penalty of death. He had also mandated “Christianity” as the “State Religion” and forsaking all others, also by penalty of death (What a way to gain “True Believers”, and why we need that Separation of Church and State), and also why “Stuffmas” quickly grew out of all that fained “Tradition”, and already in those ancient times. Saint Nicholas was later given all these (fained) “religious” attributes, and then simply “Santa” took the place of even that Pseudo religious deity or icon, and the natural progression is “Stuffmas”. “Christmas” (by design), apprehended and then corrupted both the true teachings of Jesus, and also the pure Pagan traditions of celebrating the Winter Solstice. As Stuffmas rises to a frightening din, with the “Faithful” trampling each other to get at more “Black Friday” (indeed) treasures, and as any real meaning of this time of year is then forever lost, we still have a choice; complain or don’t participate!